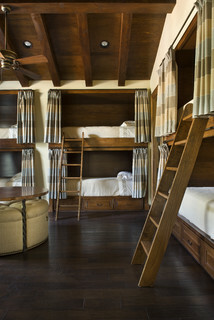 Bunk rooms are usually found in vacation homes, ski lodges, base camps, hostels, and work sites. But since the purpose of a small house is to keep things tiny, simple and low-cost, a bunk room for children or guests is ideal. If needed, you could have one for girls/women and one for boys/men. 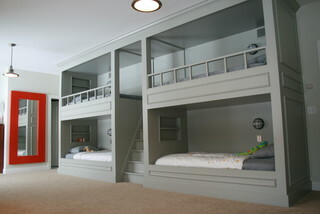 If you make the bunk room as small as possible, children will adapt to that space. Make it big and they will adapt to that space and fill it with stuff! Having a bedroom for each child is relatively new. Kids got along just fine for hundreds of years without a bedroom of their own. 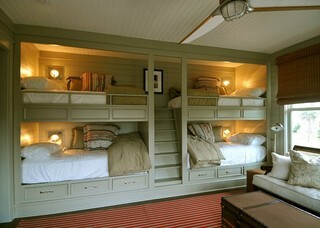 So a modern bunk room should work. I saw a news story on TV about the Kellogg family with 12 kids (not a typo) who downsized to living full-time in a motorhome! They all seem very content and happy. Although the oldest child, a teenager, wasn’t on board at first she adapted and now appreciates the lifestyle. 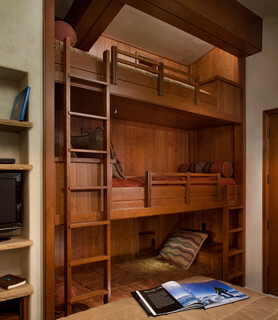 I am not talking about just any bunk room though. I envision a 21st-century bunk room with these features. Smart TV (includes Internet access) and wireless headphones. Electrical outlets (alarm, charge smartphone). Closet dresser combo for each bunk. Computer/study desk for each bunk. Wireless printer scanner copier combo. Book, software, movie, and game library. Separate toilet, shower (boys) – bath (girls), and sink (2-4) rooms. Rules and curfews (collaboratively established). Be bold. Be nonconforming. Be a trendsetter. Be creative. 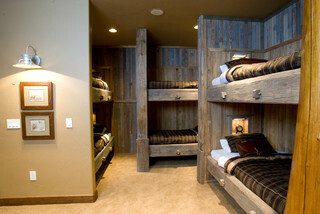 Build a bunk room that rocks!